Talk of a return to $100 oil has the central bank chief of western Europe’s largest petroleum producer worried. 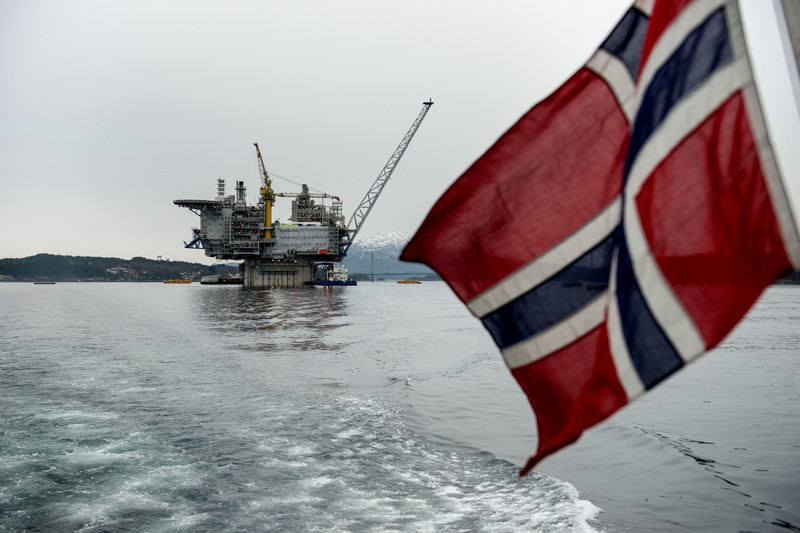 A recovery in the oil price to $80 a barrel has been a boon for the Norwegian economy, helping to narrow a widening budget gap and fueling activity. It even this month triggered the first rate increase in seven years. But the nation’s central bank governor is now warning that too high an oil price could again release undue euphoria in the petroleum industry. Norway was hit hard by a crash in oil prices in 2014, which saw unemployment soar and slowed revenue to state coffers. A massive injection of fiscal and monetary stimulus saved the economy from an outright recession as the central bank cut interest rates to record lows and the government dipped into its $1 trillion sovereign wealth fund for the first time. Now, with the oil price recovering, cash is again flowing back into the wealth fund, unemployment is back under 4 percent and inflation is once again close to target. The central bank has little interest in seeing a return to spiraling costs in the petroleum sector that would hamper the bank’s strategy to hold the krone in check as it carries out its plan to tighten monetary policy. But Olsen is encouraged by oil executives that seem intent on maintaining the lower costs that were needed to survive the downturn. The excess cash oil companies are amassing thanks to higher prices is providing more leeway and investment opportunities, said Kristin Faerovik, the head of Lundin Petroleum AB’s Norwegian unit and chair of the powerful oil lobby in the Nordic country. But they’re not about to lose control over costs, she said.